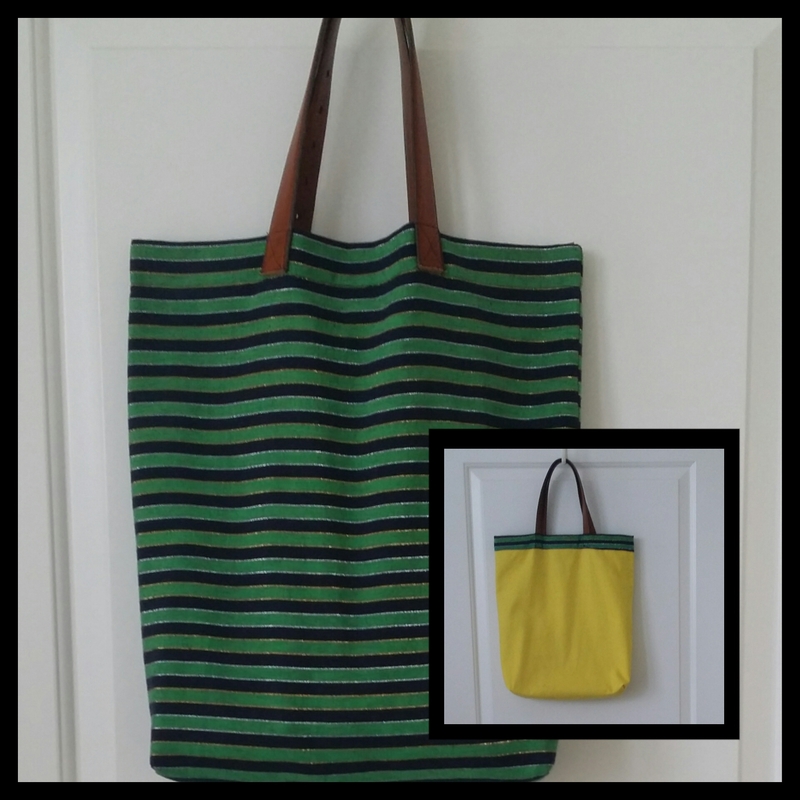 I am particularly excited about this post because I was able to repurpose an item to make this tote. Which cut down on the time it took to make this project. I admit it I’m an impatient sewer who loves to sew. Let’s dive into this project. 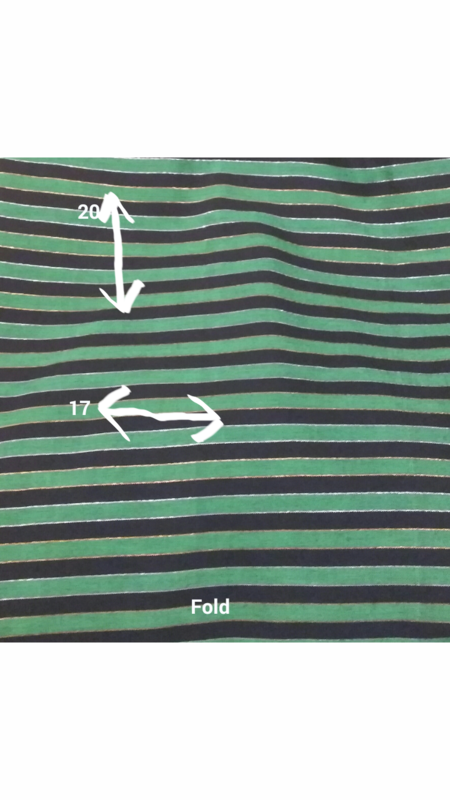 Repeat the same steps from above on your outer fabric piece. 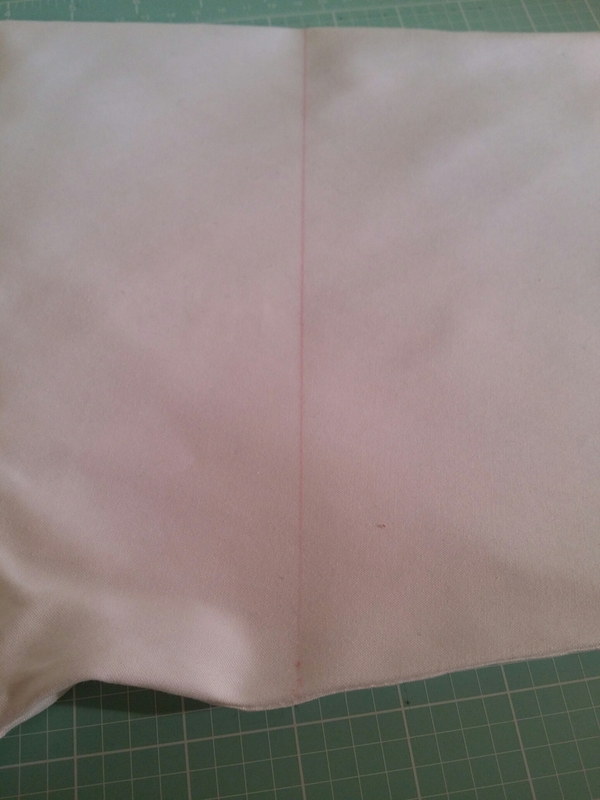 Angle out the bottom edges of your lining. Measure up 2″ from the pointed end and make a mark across ( use pins to secure into place. ) 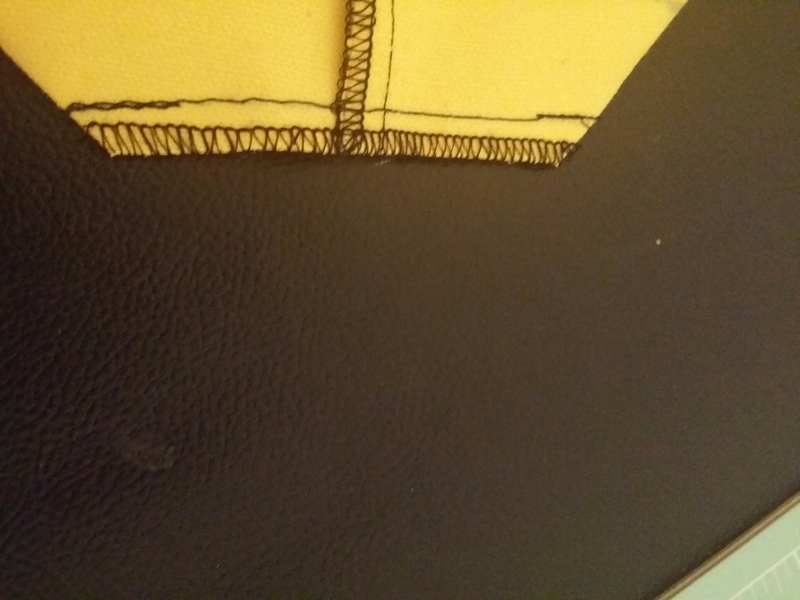 Sew across the marked area and finish seam as desired using any of the finishing methods mentioned above. 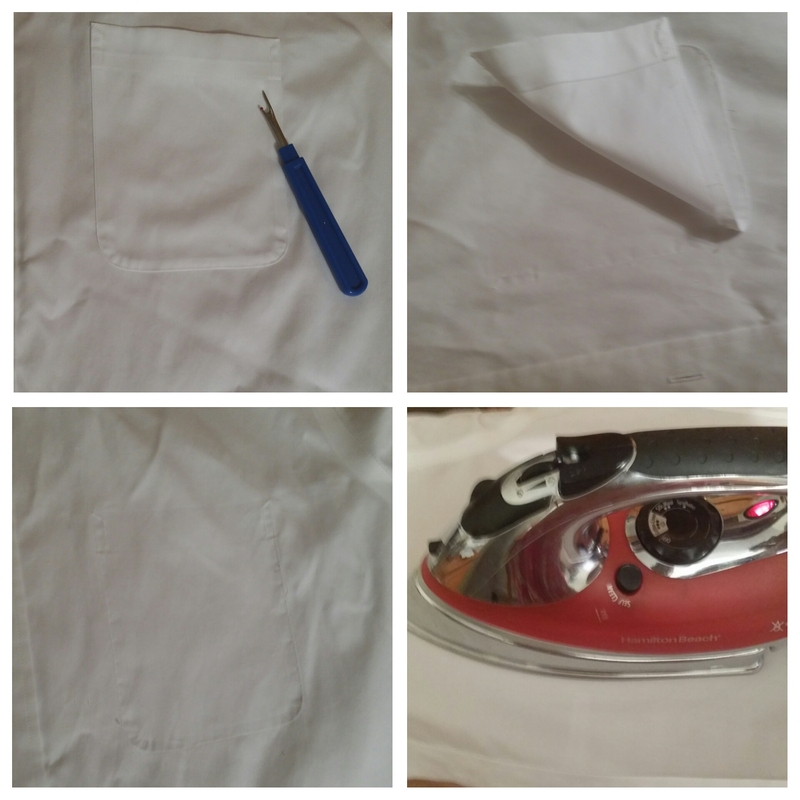 Repeat these steps with your outer fabric. Press all seams so that everything is nice and professionally finished. 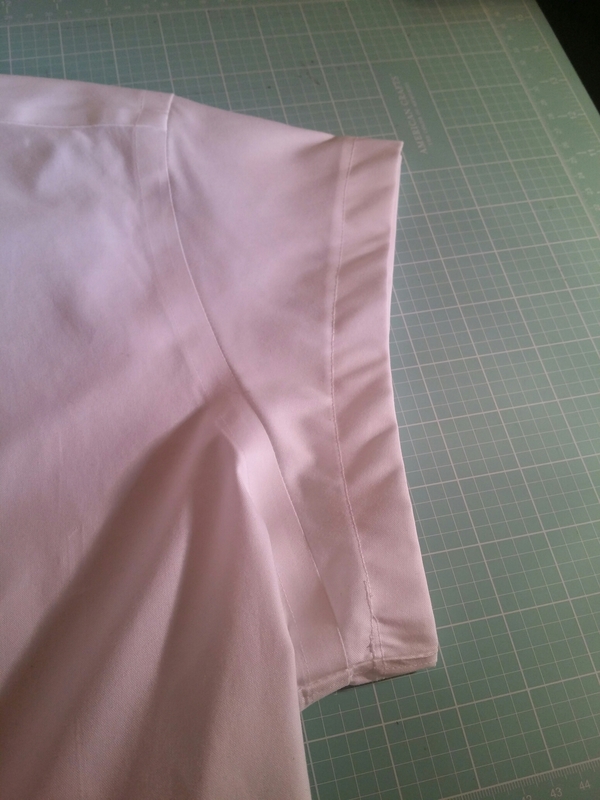 Turn your outer and lining fabric right side out. 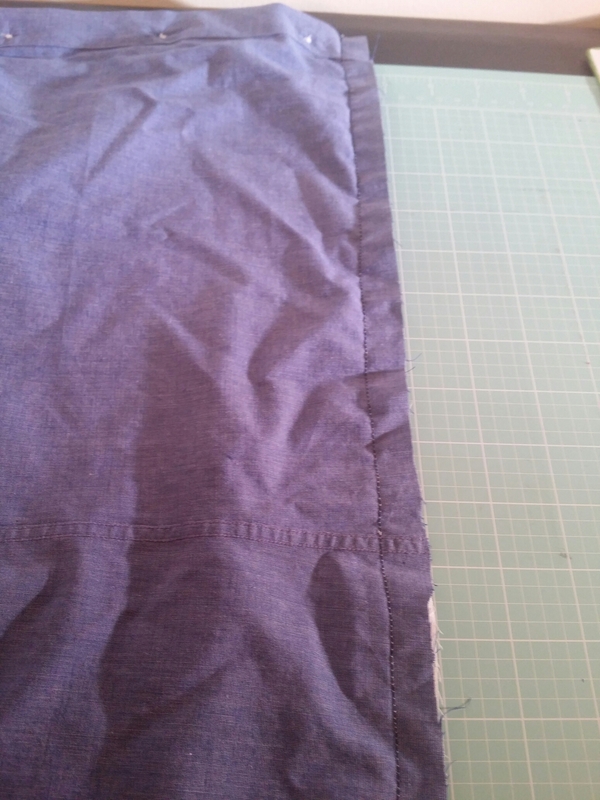 Place the lining inside the outer making sure to align at side seams. 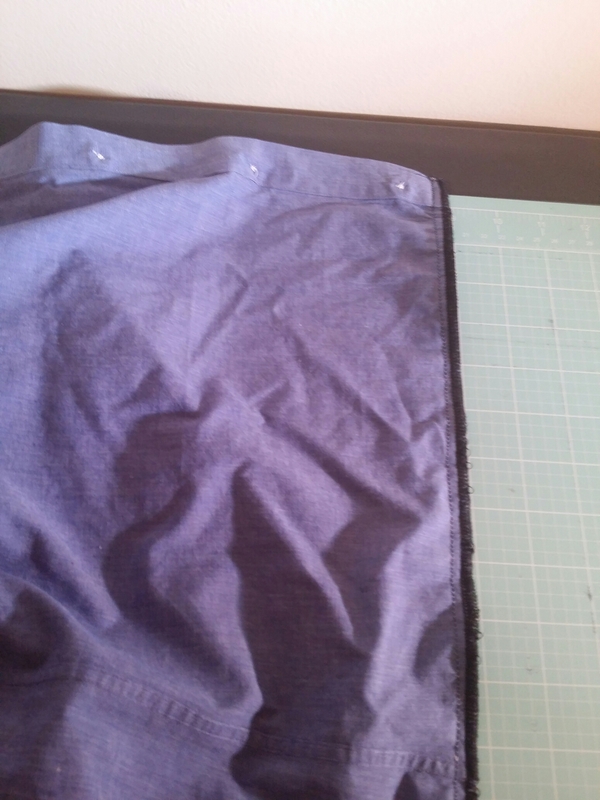 Fold the outer fabric top edge over 1/4″ and press. 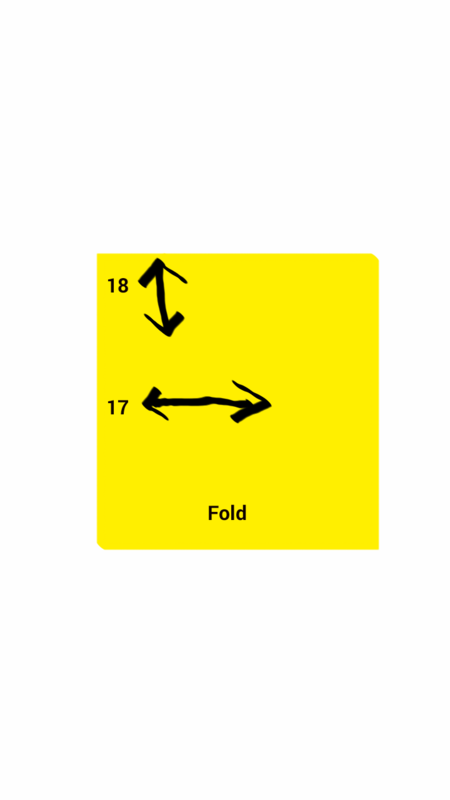 Fold it over again 1 1/2″ press and pin to secure everything into place. 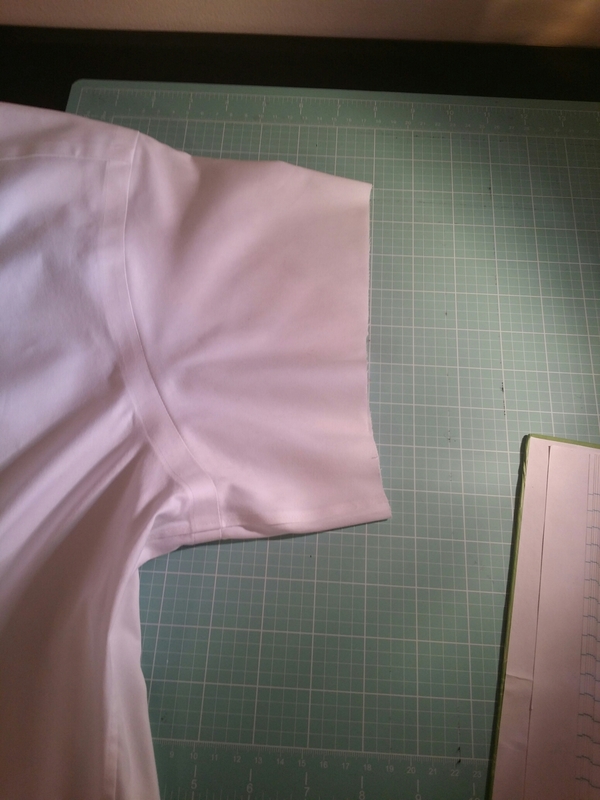 This method will enclose the raw edges of outer and lining fabric. 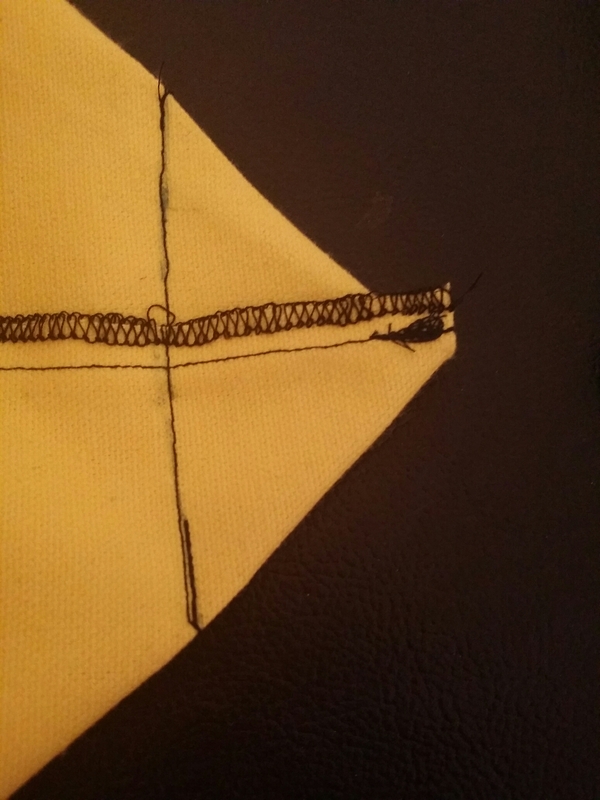 Sew around close to the edge and give your stitching a good press. It’s time for the final step. Attaching the leather straps aka leather belt. Cut off the buckle and then cut the other end of the belt to square it off. Next fold the belt in half and cut. 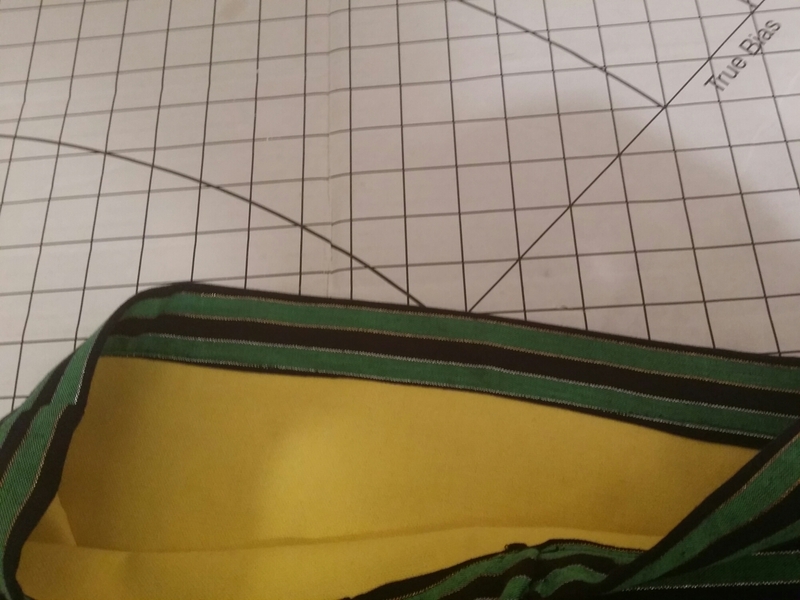 Measure 5″ from each side seam and place your straps at this point (use clips to hold everything in place.) Your strap should not go below the seam line at the top of the bag. Sew the straps on using the box with X technique. 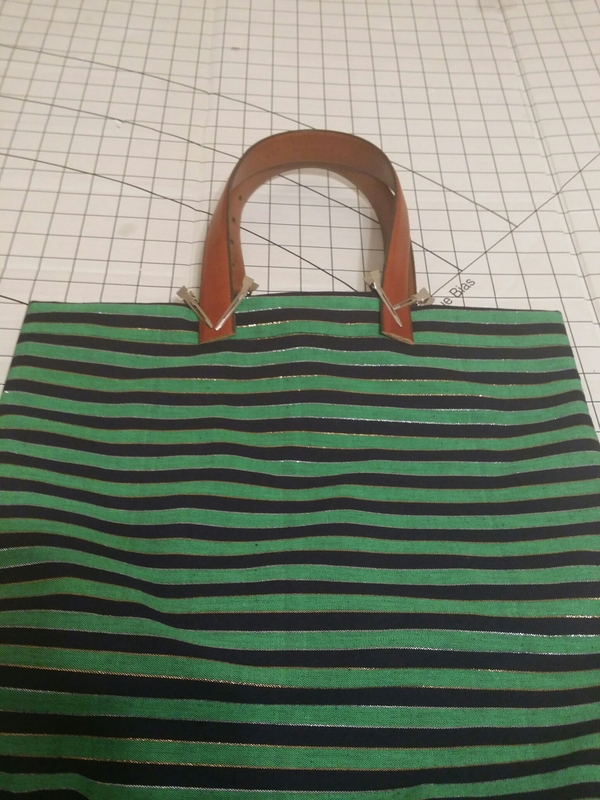 Your tote is all done and ready to use. 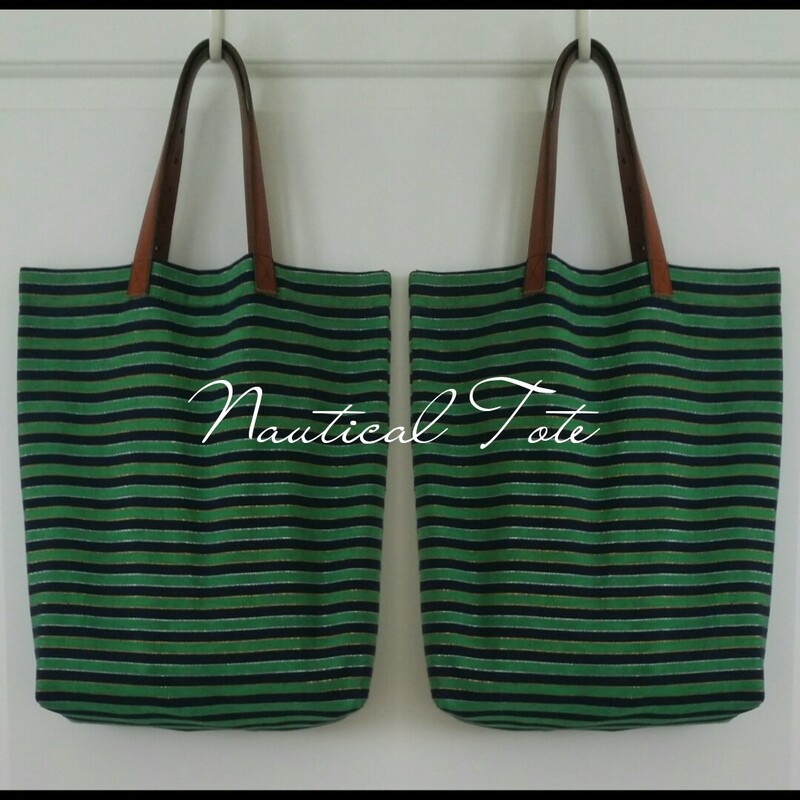 I have a surprise for you…..your tote is reversible. Two bag’s in one!!!!! 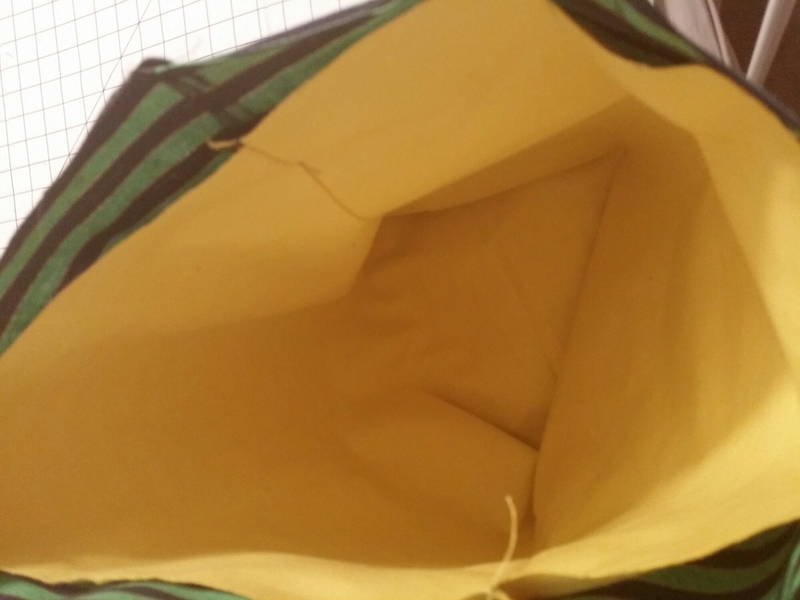 To help keep your tote organized check out this tutorial here and if you want to make another tote bag check out this tutorial here. 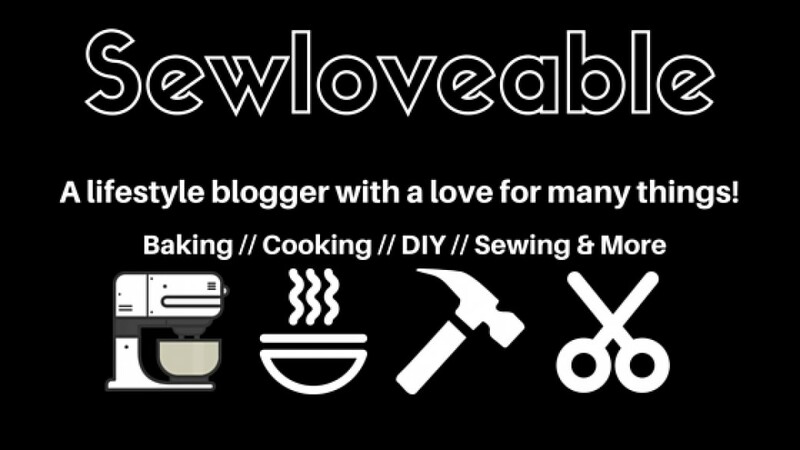 I really enjoy hearing from you and would love to know how have you repurposed an item(s) into your sewing project(s)??? Thank you so much for stopping by, it’s truly appreciated!!! A week ago I saw this simple and cute shirt dress on Madewell’s website. I instantly thought of doing a DIY version of the shirt dress. My goal with this tutorial is to make it really simple, so that even beginner sewers can make it. Let’s get started…..
1. 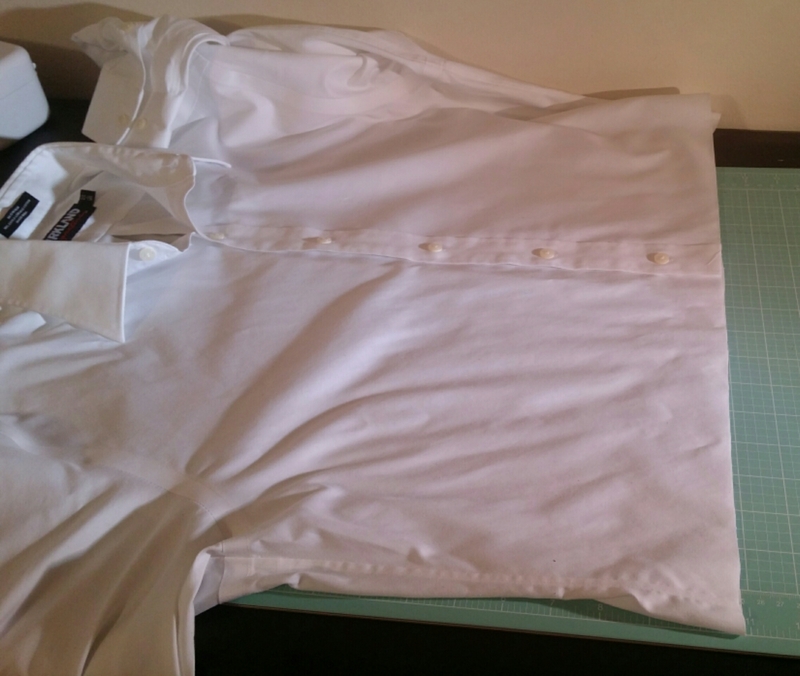 Using a seam ripper remove the pocket from the white shirt. Then give that area of the shirt a good pressing. 4. 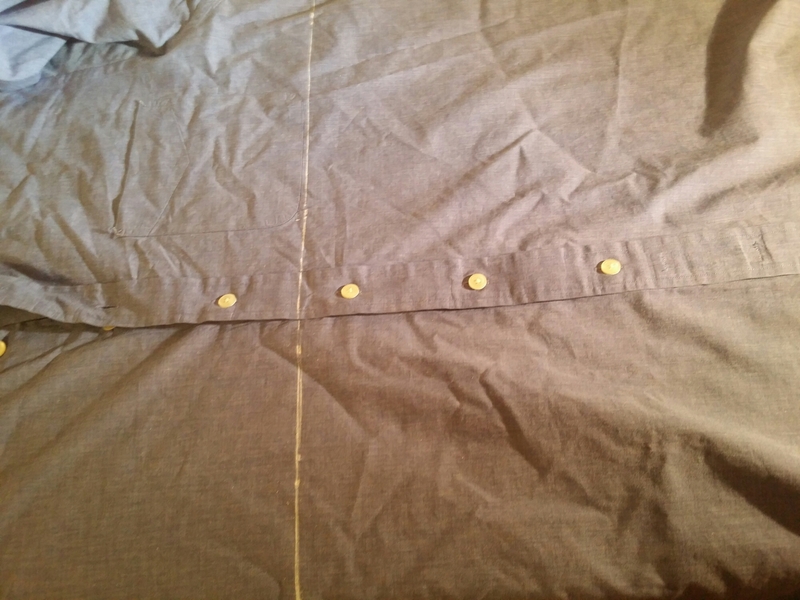 Unbutton both shirts pin them right side’s together at the raw edge and sew with a 5/8″ seam allowance. 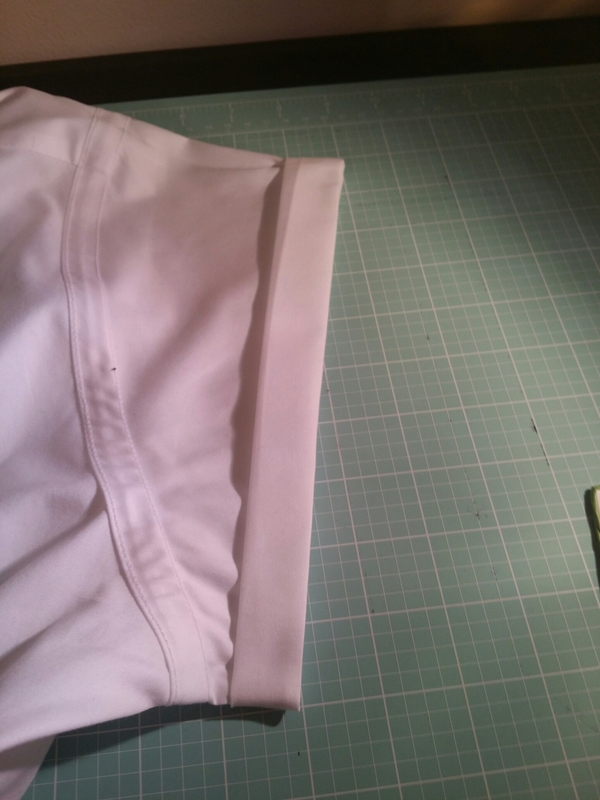 ( If you need more length use a 1/2″ seam allowance.) 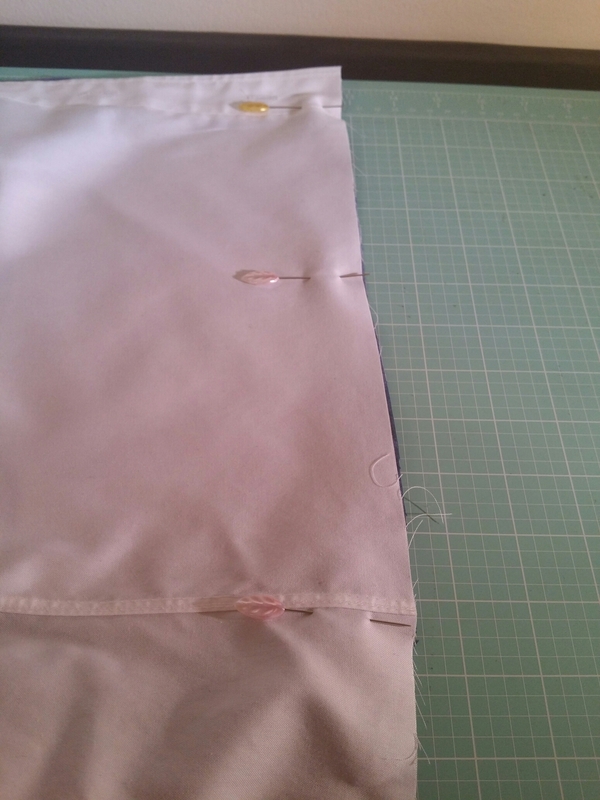 Trim and finish seam with picking shears, serger or zig-zag stitch. 5. Try your shirt on and decide how long you would like your sleeves to be. Mark the area with a pin. Now lay the sleeves out flat. 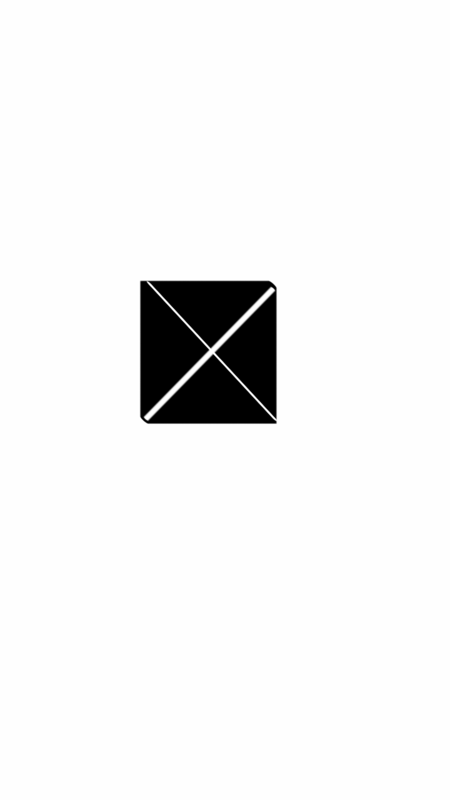 Add 1″ to the pinned area. Mark your measurement and cut. Repeat to the other sleeve. Next press your raw sleeve edge under 1/2″ and then again 1/2″. 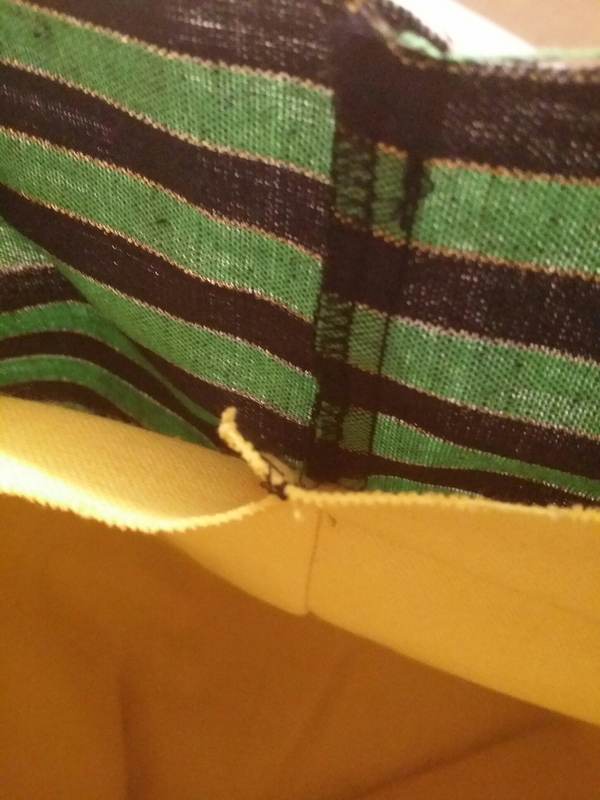 Pin to secure and sew close to the edge. Repeat with other sleeve. 6. 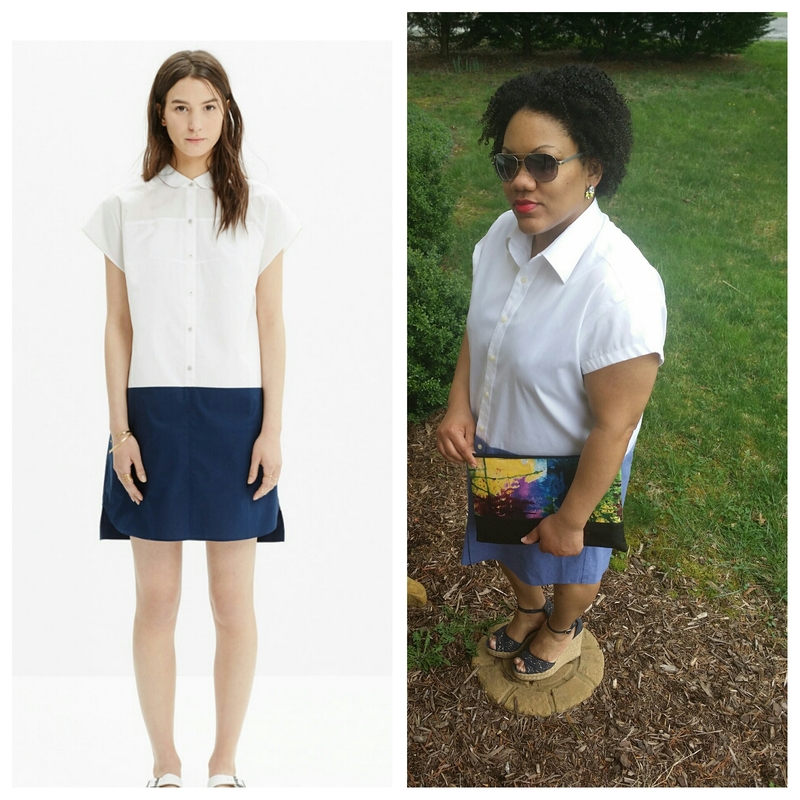 Give your seams and shirt dress a good press and you’re done. I hope you enjoyed this refashion tutorial. If you have any questions, please feel free to ask. 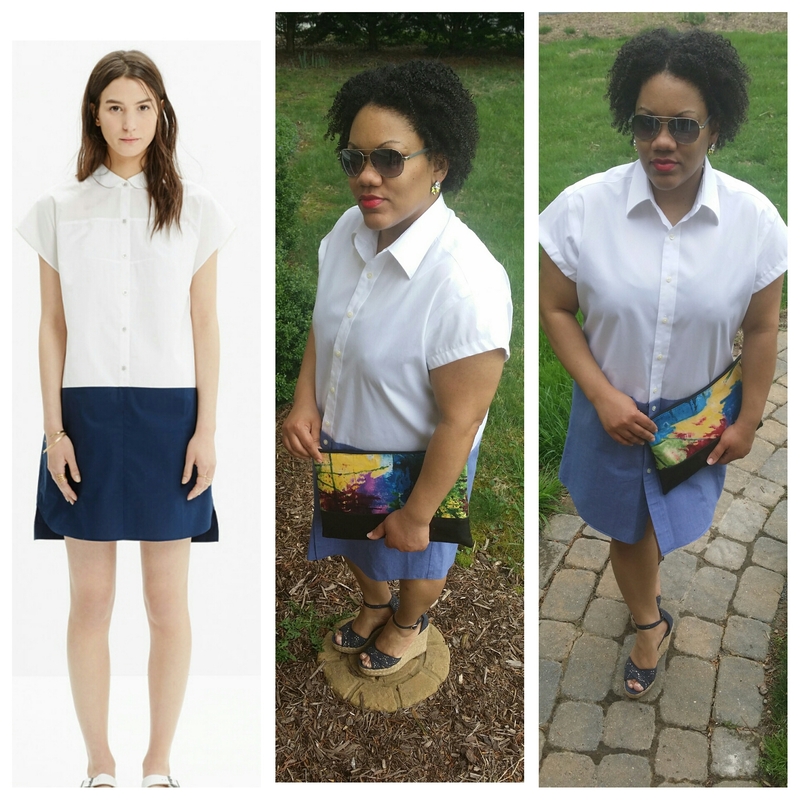 The Madewell dress goes for $110.00 and my refashion cost a total of $8.00. 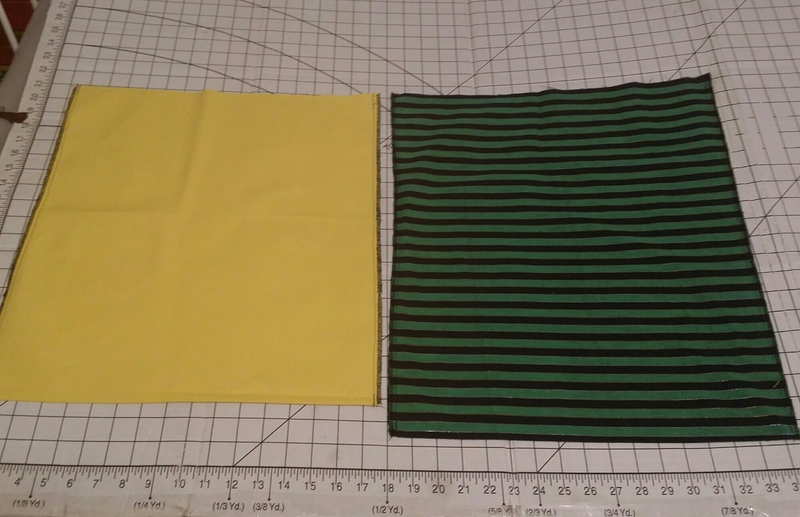 I am very pleased with how this refashion turned out and the fact that it was very simple to achieve.